I downloadedÂ Ibotta at the beginning of the year and I have already earned over $300 in cashback shopping rebates. The Ibotta app is very simple to use once you get the hang of it. You simply download the app, “clip” your coupons, purchase those items, take a photo of the receipt once you get home, then the scan the items purchased (the camera on your smartphone scans the items), and redeem for a cashback rebate. The approval process for earning cashback is simple and offers get approved quickly and the money goes straight into your account. First things first! 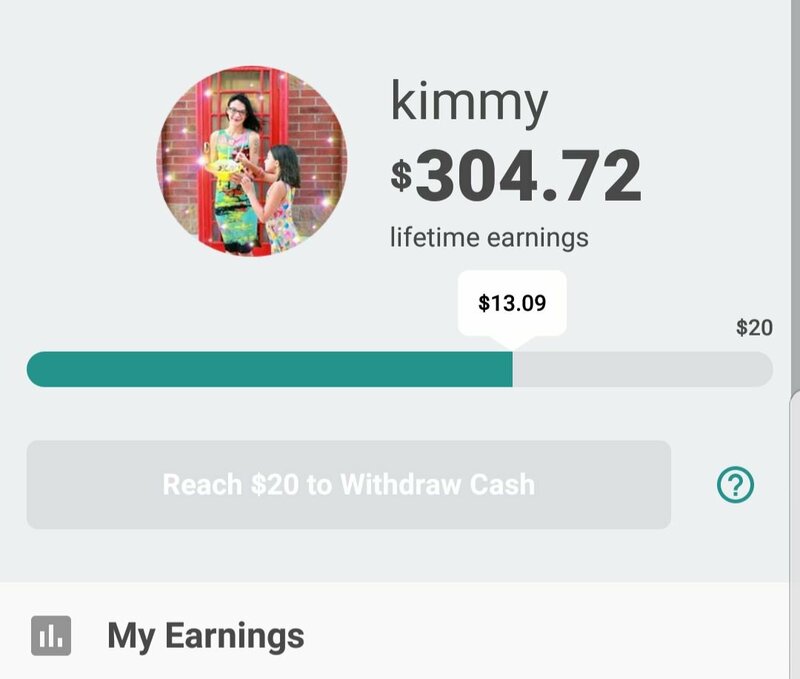 You need to download the app to start earning money. The app is available in both app stores: Apple and Google Play. When you use my code mohoyyu you can get $10 instantly loaded into your account. You need to earn at least $20 to cash out. If you use the code I posted above you start out at $10 and it is very simple to earn that $20 to cash out. You can cash out to receive Paypal money (which is often sent instantly) or you can cash out and receive gift cards to various stores like Amazon, Whole Foods,Â Target, Ulta, Ebay, Itunes, etc. They have a very large gift-card shop where you can withdraw your money earned. I usually just go with the Paypal option so I am free to choose my earnings however I like. Start earning your dollars by selecting the store that you would like to shop at and start adding those items to your account. Example: You can earn $2.50 cash back on Playtex Tampons at Kroger. You hit the plus button to add that offer to your account. You then purchase that item at the store.Â Once you are home with the purchased item hit the “Redeem” button in the lower center part of the screen. Select your store, in this case, Kroger. Make sure that your receipt falls into the required dates, then capture an image with your phone’s camera of the receipt. Make sure you finalize the process by submitting the receipt. When you take a photo of the receipt you can tap the screen to make sure the image is in focus. The photo has to contain text that is readable. If you have a long receipt you can take photos with multiple photos of the sections. Add the offers from Ibotta into your account. There are several to select from. Simply just hit the + button to save to your Ibotta account. Take a photo of your receipt to earn money with the Ibotta App. Make sure it is easy to read and in focus. Here is an example of a great way to earn some decent money in your account. Check out the Halo Top ice-cream offer in the photo below. You can purchase up to five pints of Halo Top and earn $1.50 cash back on each pint! That comes out to $7.50 if you purchase the max limit of 5. You can also see in the Hot Offers section of this photo that Olly vitamins and supplements are a simple $2 cashback transaction. Offers area on the Ibotta app. Select which offers you are interested in earning cashback on. The cashback offers section of each store is broken down into categories as you can see in the photo below. If you select a category the relevant items available will show up that you can load onto your account. Each store has several different offers to choose from. Some offers have a very decent payout. What I love about Ibotta is that the cashback gives me incentive to try new things. I have discovered several new items through discovery on Ibotta. While browsing the offers you may see plenty of items that you do not typically purchase. Don’t feel discouraged! When I am getting cash back to try out new items and get a discount on those items, I enjoy buying them and trying them out. Often times I end up becoming a repeat customer of these new items that I found out about through Ibottta. Ibotta is not just for grocery shopping. There are many stores (Amazon, etc) where you can earn cashback by purchasing items online. With these offers,you usually receive a percentage back on the total purchase price. To earn money with mobile shopping you select the store that you are going to shop at and click through. Ibotta tracks the purchase that you make through the link. You do not need to redeem a photo of a receipt for these offers. An offer on Ibotta where you earn a set dollar amount if you click through and purchase. This offer is for HelloFresh and you earn $10 cashback on a new signup for the service. Ibotta also offers many different bonuses. Always be sure to check the app to see what bonuses are currently running. There are some simple ways to earn extra money through the bonuses. Example: There is currently a $5.00 mobile shopping bonus. When you make any mobile shopping purchase (excluding Itunes and Uber) you get a $5 bonus in your account. There is a photo of that offer below. Bonuses do not stick around too long so it is best to check out the dates on which they are valid and be quick to earn that bonus. I also have an example of another bonus below with the Clif Kid Zbar. I made one purchase this week that goes towards the bonus and if I complete one more purchase of them before the expiration date I will earn an extra 50-cents. Mobile Shopping Bonus on Ibotta. An easy $5! A bonus on Ibotta that requires multiple transactions to qualify for the bonus. So what do you think? Will you be signing up for Ibotta? Leave me a comment and let me know your thoughts on the app. Sign up HERE and use the code mohoyyu to claim your easy $10! This entry was posted in Ways To Save Money Grocery Shopping and tagged amazon, app, cash back, coupon, earn money, gift card, grocery shopping, ibotta, mobile shopping, paypal, save money, shopping. Bookmark the permalink. It is a great way to try out and discover new products. Love it!